First of all, I want to say thank you for all the love and messages you guys sent over when I posted the devastating news about my little Toto. You have no idea how much your words of encouragement have helped me move forward. I’m working on a post to honor my little baby, but for today it’s all happiness because Ecotools’ XO Box for April is here!!!! 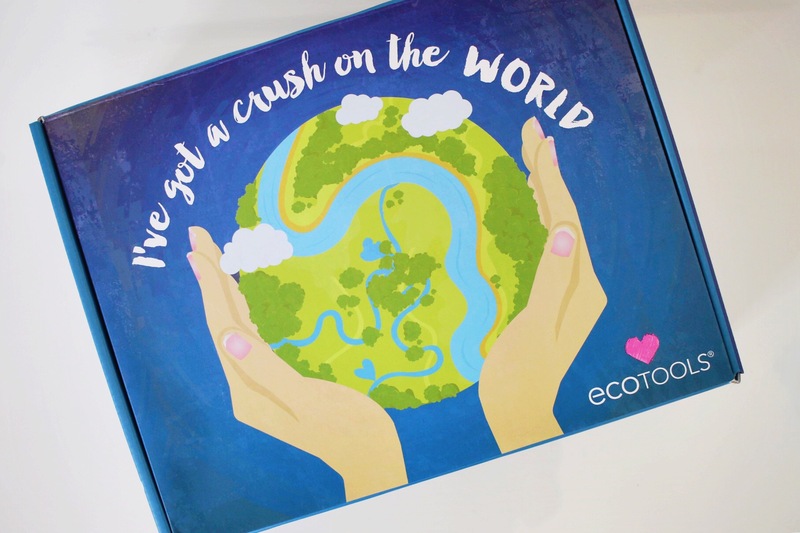 It’s a beautiful box called ‘I’ve got a crush on the world’ full of eco friendly products from Ecotools and other amazing brands that you for sure need to check out ASAP! 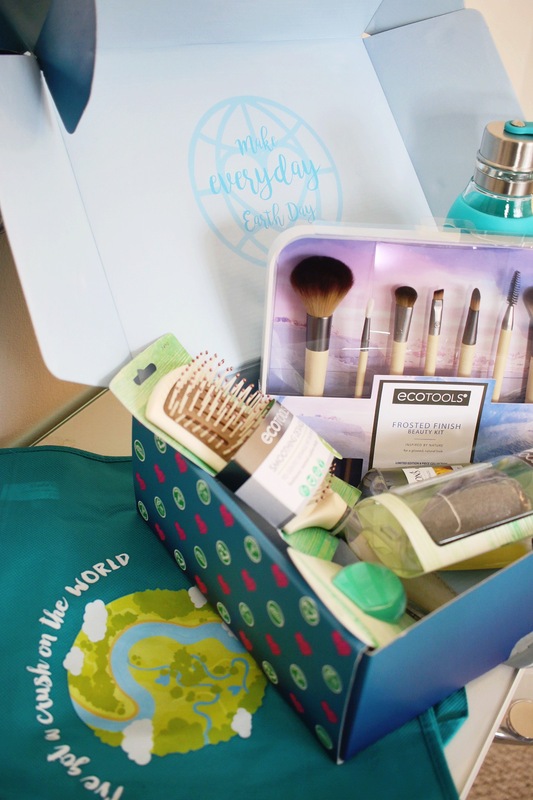 This month’s box honors Earth Day and it’s filled with products that are responsible choices. I feel like we should all learn how to make every day Earth Day and to honor our planet with every decision we make. It’s not easy and sometimes making the right choice is not so obvious, that’s why is so important to educate ourselves and live by the principle that every little thing matters and it that it does make a difference if we all do something, no matter how small it seems. Ways of Style definitely has a crush on the world. Wearing in so many different ways the things in your closet will make you shop less frequent, which on top of saving you a lot of money, it also has a positive impact on the planet because you are consuming less. Here’s a little sneak peak of what’s in the box. This time I decided to do things a little different and make a video instead of a blog post. I hope you check it out. I hope you enjoy this video and that it encourages you to think about our beautiful planet. We are in this together, never forget that. It’s in our hands to make a difference and create a better future for us and the next generations. I’m so excited to be planning a 2-year trip around the world to see as much of this beautiful planet as much as I can, explore, interact with nature and create awareness on world problems and find a way to help together. So believe me when I’m say Happy Earth month! I’m so happy to be living on this planet! Don’t forget to be kind to our beautiful earth, to make responsible choices as much as you can, little by little, baby steps… EVERY LITTLE THING counts! Thank you so much for stopping by and let me know your thoughts on the video and if you have any favorites let me know in the comments below. Brought to you by Ecotools. Thank you so much for supporting sponsored opportunities on WOS. You can shop for this box by visiting this link: Ecotools XO Box – April. Eco tools are the best! Love how happy you are about this haha! I would be too… Super cute look doll! This box looks amazing! I love all of the items you received! It really is! 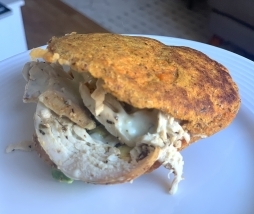 You should def check it out girl! Every months just keeps getting better and better! Yes! They are seriously so responsible with every one of their products! And yes, loved this Ecotoools box! They just have the best brushes! Thanks! They do have the best products and these boxes are always so much fun! I need this box! ASAP! Ecotools has the best products. I’m such a fan and also love Contigo. Yes girl you totally do! Love this video and this post! We should start taking care of our planet more. I always tell my kids that every little thing counts. Yes girl. I’m all about that. EVERY LITTLE THING COUNTS. All together we can really make an impact. Thanks Emily. I will do more videos for sure. They are super fun!